With expansion, the sugarcane-to-ethanol industry in Brazil could reduce global carbon dioxide emissions by as much as 5.6 percent, an international team reports. CHAMPAIGN, Ill. — Vastly expanding sugarcane production in Brazil for conversion to ethanol could reduce current global carbon dioxide emissions by as much as 5.6 percent, researchers report in the journal Nature Climate Change. This would be a massive undertaking, involving the conversion of hundreds of thousands of square miles — at its most ambitious, more than the combined land area of Texas and California — to sugarcane fields. But it can be accomplished without impinging on environmentally sensitive areas in Brazil and while allowing for the expansion of other agricultural crops and human needs, the researchers report. The carbon-related costs of converting the land to sugarcane fields were included in the analysis. 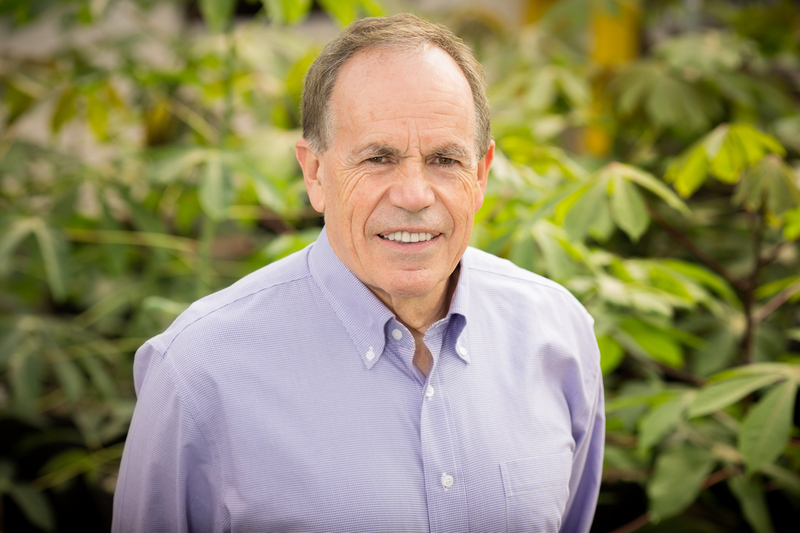 University of Illinois crop sciences and plant biology professor Stephen P. Long and his colleagues calculated the environmental consequences of expanding Brazil’s use of sugarcane for biofuel production. The research relied on a new approach to modeling the precise behavior of sugarcane crops growing in regions that vary in soil composition, temperature, rainfall and numerous other parameters, said Stephen P. Long , a University of Illinois professor of crop sciences and plant biology who led the analysis with an international team that included scientists from the University of Sao Paulo in Brazil. "Most models used to predict future crop production are statistical models that really don't take full account of the way changes in water, carbon dioxide and temperature interact to affect sugarcane production," Long said. "We've used a mechanistic model here that grows the plant, so it's driven by the factors that the plant is responding to on an hourly basis." The Brazilian government has mapped out ecologically sensitive lands that cannot be used for agriculture, industry or other types of development, Long said. "We've kept the proposed sugarcane production within the area that can be legally converted," he said. 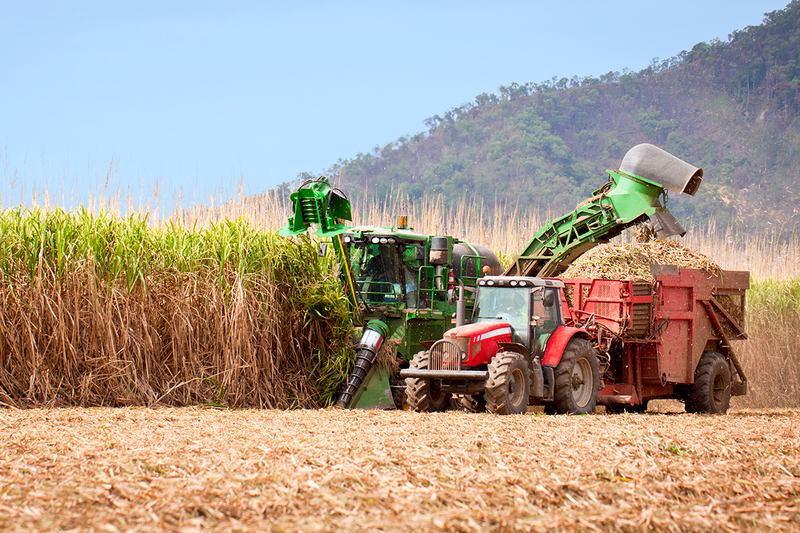 Brazil already has accomplished a lot with its sugarcane-to-ethanol industry, said study co-author Amanda De Souza, a postdoctoral researcher at Illinois and the University of Sao Paulo. "Unlike in the U.S., Brazil uses almost all of the sugarcane plant for energy, extracting the sugar to make ethanol but also burning the stem residue, known as bagasse, to power the mill, with the excess being used to generate and sell electricity," De Souza said. "The conversion of the cellulose component of the bagasse to ethanol is also likely to become cost-effective in Brazil. "Sugarcane-based ethanol production in Brazil today is much more efficient than corn ethanol, and generates only 14 percent of the carbon dioxide emissions of petroleum," De Souza said. Most cars in Brazil are flex-fuel, which can run on ethanol, gasoline or a mixture of both. By 2012, Brazilian gas stations were selling a greater volume of ethanol than gasoline, she said. 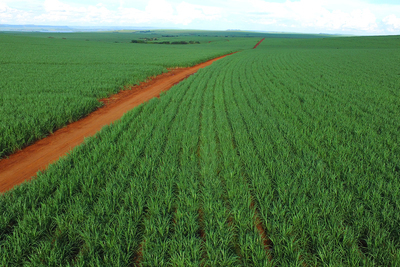 "Brazil's sugarcane production is probably the most advanced in the world," Long said. And to reduce its carbon footprint even further, the government of Sao Paulo, the major ethanol-producing state in Brazil, recently outlawed the burning of sugarcane before harvest. A practice still common in the U.S. sugarcane industry, burning removes the leaves and reduces the bulk of material that must be hauled to the mill, but adds particulate pollution to the atmosphere and reduces soil organic matter, the researchers said. Unlike the U.S., Brazil uses almost all of the sugarcane plant for energy, extracting the sugar to make ethanol but also burning the leaves and stems to generate electricity. "Our conclusion is that this industry could expand quite a bit and make a significant contribution to decarbonizing fuel," Long said. 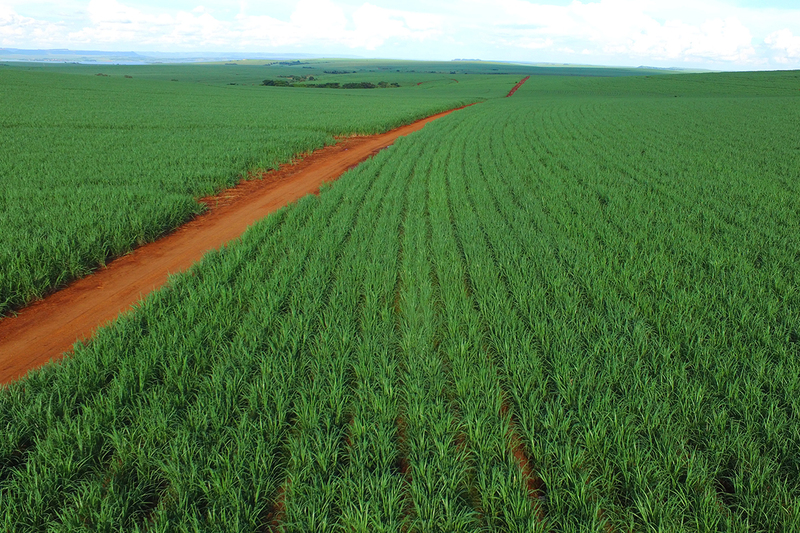 The team looked at three scenarios that would increase the sugarcane footprint in Brazil between 37.5 million and 116 million hectares (144,788 to 447,879 square miles). "The larger scenario is similar to land area devoted to corn and soy in the U.S.," Long said. "We have about 90 million hectares in corn and soy in the U.S. - most of that, of course, in the Midwest." The Paris climate agreement of December 2015, signed by 196 nations, aims to limit average the global temperature to less than 2 degrees C (3.6 degrees Fahrenheit) above preindustrial levels, Long said. "The only way we're going to get there is to have a massive reduction in net CO2 emissions," he said. "No single solution will get us there. We'll need to implement a whole series of incremental steps. We're trying to point out that this could be a very important increment, and one that could be realized in a timely manner. "This expansion does not have to stop at Brazil," he said. "Many acres that once grew sugarcane - from the Caribbean to Hawaii - lie idle today. Sugarcane-to-ethanol production would provide a use for this land again." Stephen Long is a professor in the Carl R. Woese Institute for Genomic Biology at the U. of I. The Center for Advanced Bioenergy and Bioproducts Innovation at Illinois funded this research. To reach Stephen Long, call 217-217-244-0881; email slong@illinois.edu. The paper "Brazilian sugarcane ethanol as an expandable green alternative to crude oil use" is available to members of the media from the to U. of I. News Bureau.